When writing about scotch whisky in any capacity, Johnny Walker is invariably an elephant in the room. You have Adherents to the Faith that will swear that Johnnie is all the scotch they need, and anything else is just noise. You also have the Nouveau Aficionado who will swear up and down that the vile blended villain has never passed his lips, and never will. Certainly one of the most-recognized brands of scotch in the world, owned by one of the largest whisky producers in the world, and the world’s best-selling scotch brand by almost a factor of 3 (17.6m vs 6.13m cases of Ballantine’s in 2015), Johnnie is no stranger to anyone with passing familiarity with whisky. Green Label, unlike all of the other Walkers, is actually a blended malt composed of (unsubstantiated) 27 different single malts, all at least 15 years (or, more likely, exactly 15 years) of age. The brand was unceremoniously removed from the market in 2012 to make room for Gold and Platinum, and has only recently returned to the lineup after a four-year absence. Diageo claims that the recipe has not been altered during this time. Of those 27 malts, the recipe reportedly makes use of some key components: Caol Ila (from Islay), Talisker (from Skye), Cragganmore (from Speyside) and Linkwood (also Speyside). All – of course – owned by Diageo. The blended (or “vatted”) malt is bottled at 43% ABV and retails for around $45 to $55. My bottle was purchased in 2017, after the renaissance of the label. Nose: Light and fruity, with white peach, honey, fresh malty grains, and graham cracker. 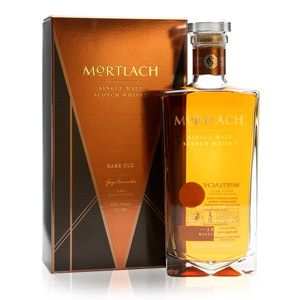 Some floral notes are present, but hard to pin down – probably from the peated components. Let’s call it gorse because that makes it sound like I know what I’m talking about. Palate: Soft and slightly syrupy on the palate. Little tongue burn. Malty cereal notes dominate, with a tinge of oat bran. Some of the notes from the aroma are present (honey, particularly), but not much fruit. The honey is multi-dimensional, the rest is not. Finish: Short. Slightly bitter barrel char initially, which is joined by vague nougaty nuttiness. Fades quickly with a whimper. With Water: A few drops of water release a splash of green apple and unripe banana. The palate is a little spicier and more vibrant, as is the finish. I highly recommend a few sparse drops of water with this one. Overall: Perspective is an odd thing. Had I just cracked open a bottle of single malt from some barely-known “craft” distillery after getting a good deal on the bottle, I would have probably rejoiced at having found a hidden gem with a polished and accomplished (if a little boring) presentation and a fabulous price point. Since this is the ubiquitous Johnnie Walker, however, my brain says “eh, it’s just OK.” Brain be damned, this is a very drinkable, very available, and very well-priced dram. It’s all-malt, and it has an age statement to boot. Being picky, I have to point out that the palate doesn’t offer much of a surprise, the finish is forgettable, and the peated components are nearly invisible… but we’re talking about 15 year-old malt for under $50 here. Bottom line: If you’re going to drop money on a Walker, get this one. Everything “below” Green has clear flaws, and everything “above” Green is overpriced. What would Goldilocks do? Acquired: (750ml bottle) $45, Costco, San Jose, CA. 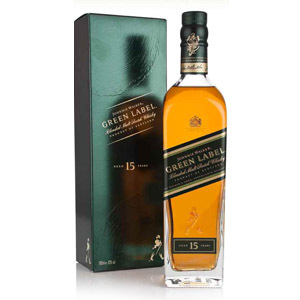 I agree with ScotchNoob: Green Label is the real star of the Johnnie Walker lineup. Unpopular opinion alert – I prefer platinum if it can be found on a deal. I like the subtle smoke. I recently went to a whisky show and did a vertical tasting at the JW table to see if that opinion stood up by direct comparison. It did, for me at least. In fact, I often use Green as my ‘calibration dram’ at the outset of a session. I.e., have a sip or two of this to prepare your senses for the single malts to follow on the evening’s menu (and it’s not unusual for Green to outperform some of those single malts). Agreed. Can you detect the peated components? With both Caol Ila and Talisker, you’d expect some smoke… but I get none. Received a bottle for my birthday…I get a lot of smoke. It’s first thing I notice. Yes, but very suble, but there for sure… I just had my first ever dram of Johnny Walker Green Lable a few minutes ago, and wanted to see if what I was experienceing, was similar to others. I came to this site first, and had to comment… This is my first ever blend… Yes, I am in my second year of the Scotch experience, and totally believed it had to be a single malt, with age statement, no coloring, non chill filtered, blah, blah, blah…So I still need to develop as a more educated, more open minded Scotch drinker. DANG… This is good… Sweet, is the first thing I noticed… Simple, in that it was not demanding… Easy to drink….I truly am impressed, I also was astonished that this blend was what I was looking for… I will go back to that same store, and get 2 more of that same batch just to be on the safe side… In two years I have purchased approximately 30 or more bottles of Single Malt Scotches, various regions, brands, etc,,,,, Because it is all about finding new and great flavors… This is a great flavor…. Great.. love it…. I have the old version. It’s not smoky to me. Earthy. Grassy. Not smoky. That would make sense, since the main peated malt ingredient is Caol Ila. But, like Noob, I don’t get much peat out of the current version at all. I’ve never had the new one, but you definitely noticed the smoke in the old one. This is definitely the best Johnnie Walker has to offer. I’ve never had Linkmore and the other three major components are all better on their own, especially Talisker. That being said it was the pre 2012 bottling of JW green that got me interested in single malts to begin with. So I guess you can say I have owe a great debt to this stuff. As you said it’s a great price for an all malt 15 yr old. Might as well give it a shot if you’ve never had it. I was delighted when Green returned to the shelves. Now my favorite, even over many real single malts. Nice review. It’s a bit of a mystery how this came back, given JW’s recent direction and the fact Diageo runs it all; to go back to something because of consumer support as opposed to “inventing” something new to sell to people is a bit out of step with current trending. There’s a lot to like about the Green, and I always like the complication, if not exactly the complexity, of vats – there’s always a lot going on – but I’m not completely convinced that the recipe has remained the same between the two incarnations. I thought the earlier model had a few more peaty “bass” notes while, now, the profile seems to have moved a little more toward Speyside. Good stuff either way, and a whisky that more people should try. I gotta echo Jeff here. I’m surprised too that this (a) came back at all, (b) still has an age statement, (c) still has THAT HIGH of an age statement, and (d) is still all malt. Nice work Diageo! I’m glad you didn’t run out of the number 15. The subject of its recipe came up in a recent review over on Connosr, and we (or at least, I) concluded that Diageo is probably using whatever malts they feel like at the time they make each batch. That doesn’t mean that it’s bad or even that it’s changed from the old version, but I think it DOES mean that you can’t count on it being a time-testing marriage of Talisker, Caol Ila, Cragganmore, and Linkwood. Agreed. It’s also worth noting that although the marketing pushes those four malts, there are actually (something like) 27 malts in the “recipe”, which gives them a lot of leeway to tweak. Just because Talisker and Caol Ila are “cornerstones” doesn’t mean they have to be more than 0.05% of the whole. 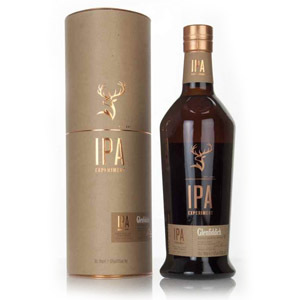 “‘We listened to our customers and consumers, and we are responding to popular demand to bring it back into our core range,’ said Dr Nick Morgan, head of whisky outreach at Diageo. Whether “formulation” just means the same malts as before or the same malts in the same proportion as before is the question – I would normally think the latter (obviously if this thing went 80% Talisker, it would be very different, even if everything else “was in there”), but I do think the Green has changed somewhat. Interesting that Morgan would go out of his way to say that an earlier version would be the same, but that there’s no follow-up comment/story on any changes on versions to come – and the rest is silence. I have not had the new one, but I was fond on the old one. From what I remember Cragganmore and Talisker were noticeable in the original release of this. If that’s not the case, then I would assume this is not the same. 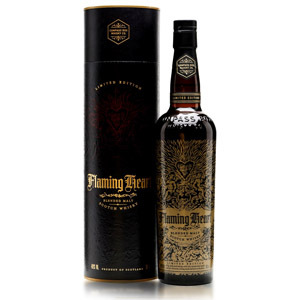 I don’t see myself buying this anytime soon because I have too many open and unopened bottles of good stuff already, but I am interested in trying a glass if I see it somewhere. I want to try this one. I really do. But it runs about $80 here in Canada. That’s only $6 cheaper than Laphroaig 10. Every time I’ve gone to the LCBO with the intention of getting JW Green, I end up with a bottle of Laphroaig. I’ll get one eventually. To sound a bit snobbish: certainly not the complexity of double black. That being said; it”s smokey and delicous and so reasonably priced: undeniably good. I mentioned in the comments above that a local restaurant has several bottles of the pre-discontinuation JW Green. Those bottles have been sitting on their shelf since 2012 when the whisky was pulled from the market, and they STILL haven’t sold them. My guess is because Green Label is probably too expensive to put into a mixed drink, but nobody wants to drink a “blended” whisky neat. Of course, the average consumer doesn’t understand the distinction between blended scotch whisky and blended malt scotch whisky. They can’t sell the stuff by the drink to anyone else, and they can’t sell me a bottle because of our ridiculous, archaic laws governing liquor sales in this area. It’s incredibly frustrating. 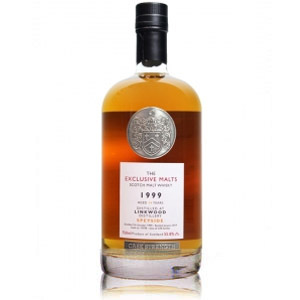 I’ve recently bought a bottle of this one with the twist-off cap, batch 666769 – Date 08/12/16 – 04:02:06, it’s a very good whisky indeed but, it doesn’t have the peat/smokey note on the nose, I could only get a very weak almost fading salt and sea notes (certanly from Talisker), fruity and earthy/grass notes even on the palate. Maybe the recently batches were added more Caol Ila to the mix to reveal a more peat/smoke notes on the palate and on the nose. My guess is my bottle was from the old Taiwan’s exclusive batch before the revealing of it coming back to the global market, because the shape of the bottle is a bit different and doesn’t have a cork, only a twist-off cap maded from plastic. Even from the old batches, it’s an awesome whisky, of course it lacks a bit of character and power from Caol Ila and Talisker but it’s a very enjoyable, bit complex and very drinkable one, maybe if bottled at 46% ABV it would be even more richer and complex. Purchased my first Green bottle this evening, frustrated since the wooden cork was rotted off, had to push it down into the bottle which ruined the whole experience. Anyone else have this happen?